Formed in 2015 in the heart of the Midwest, River Bend is a Traditional Bluegrass band that is dedicated to the performance and preservation of the "High-Lonesome Sound". With soaring tenor harmonies, driving instrumentation, and the classic bluegrass sound, this group recalls the voices of Bill Monroe, the Stanley Brothers, Vern Williams, Red Allen and more. If you are seeking an authentic " true grass" experience that harkens back to the founders of the genre, River Bend is the group for you. Contact us now for your next festival, theatre, or private event. 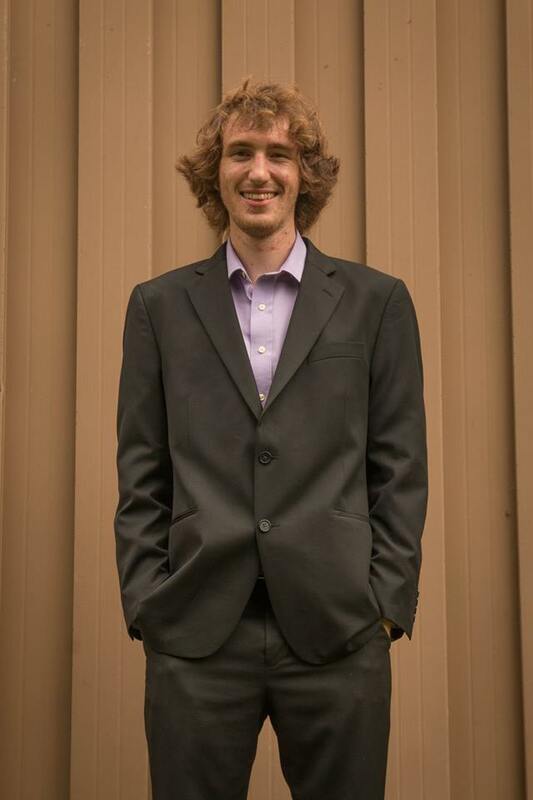 Aaron Muskopf is originally from Waterloo, IL and is a multi-instrumentalist that started his music career in his early teens by playing and touring with different groups throughout the Midwest. Before joining River Bend as the guitar player and lead singer he was the bassist and vocalist for St. Louis based bluegrass band call Cumberland Gap. They released several albums and won several awards for being the top bluegrass band in the St. Louis area. When not playing music with River Bend you can find Aaron playing guitar and bass with other musical acts and friends in the St. Louis area. Blake Korte is a multi-instrumentalist and was raised in Highland, Illinois. The Appalachian mountain dulcimer was the first instrument he learned thanks to his grandmother’s interest in old-time music. This interest was passed on and developed over time, although Blake spent his formative years and first two years of college playing in classical music ensembles and various musical projects with friends. All the while, he maintained an appreciation and knowledge-base of folk music and some of its global permutations. Blake is a graduate of the music program at Southern Illinois University Edwardsville. He currently plays dobro for River Bend, The Silver Creek Bluegrass Band, and also plays with other musicians in and around the St. Louis area. When he is not playing music or teaching at the Folk School of KDHX, Blake enjoys collecting records and fishing. Originally from Southern Illinois, he began playing banjo at age 16. He developed his playing and music career over the years in Colorado, Tennessee, and Missouri. He has played in several bands including: Lazy-Joe, Foggy Memory Boys, & The River Ramblers. He is a very versatile musician who incorporates a wide rage of styles and techniques into his playing. 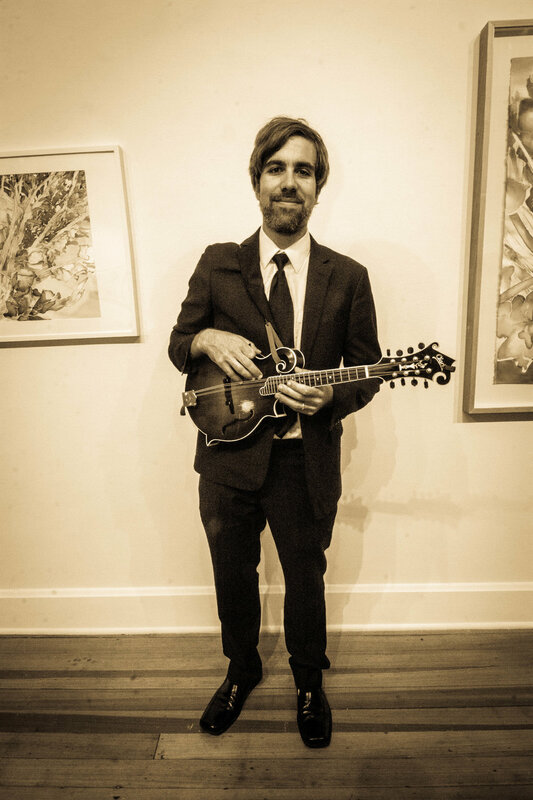 Originally from St. Louis, MO, Will is multi-instrumentalist and veteran to the St. Louis bluegrass scene and is very exicted to be playing with River Bend. Playing in various St. Louis bluegrass groups, such as The Local Gents, Wayward Mountaineers, Gateway Ramblers, The Foggy Memory Boys, and The Grits, just to name a few. Will is a very gifted musician as well as a powerful singer. In addition to laying down rock solid bass lines, Will's high lonesome tenor make him an integral part of the sound of River Bend.